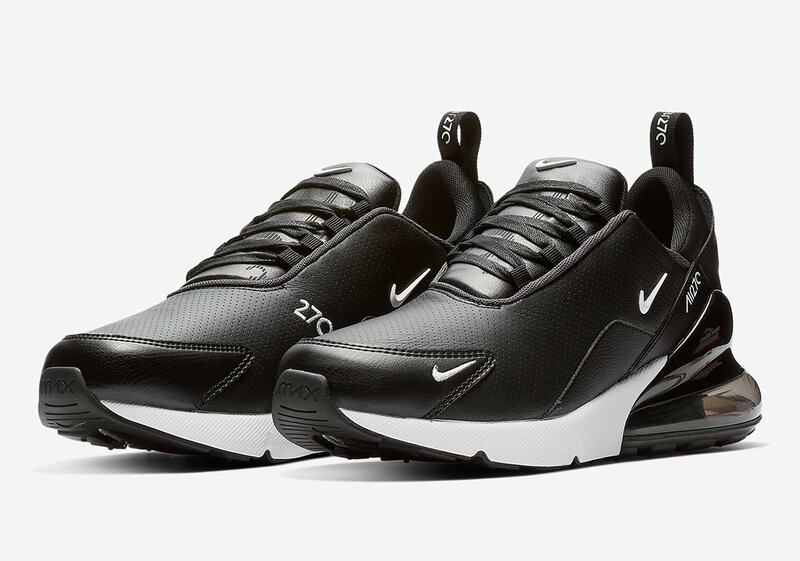 One of the Swoosh Brand’s most popular lifestyle silhouettes on the market, the Air Max 270 is adored worldwide for its recognizable super-sized heel bubble and versatile style. 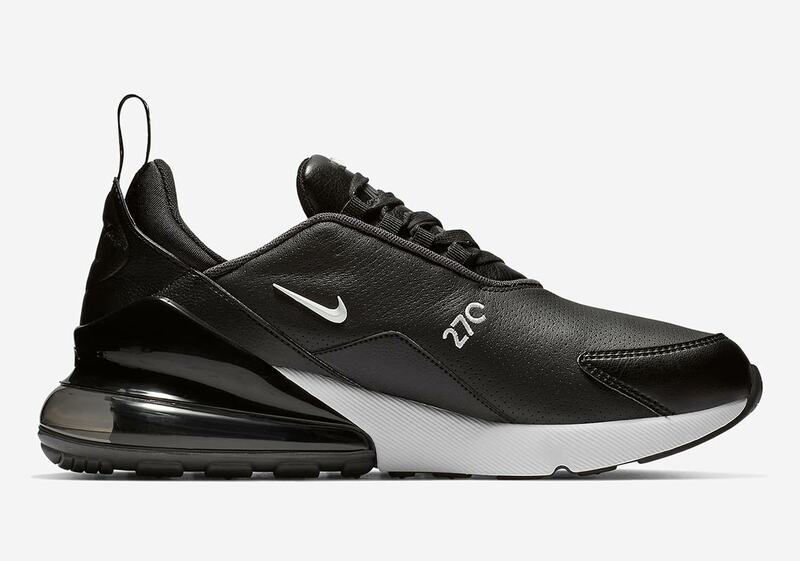 Now a new premium leather take on the 270 has surfaced, calling upon a new upper style to bring a little stately flair to the always-sporty silhouette. 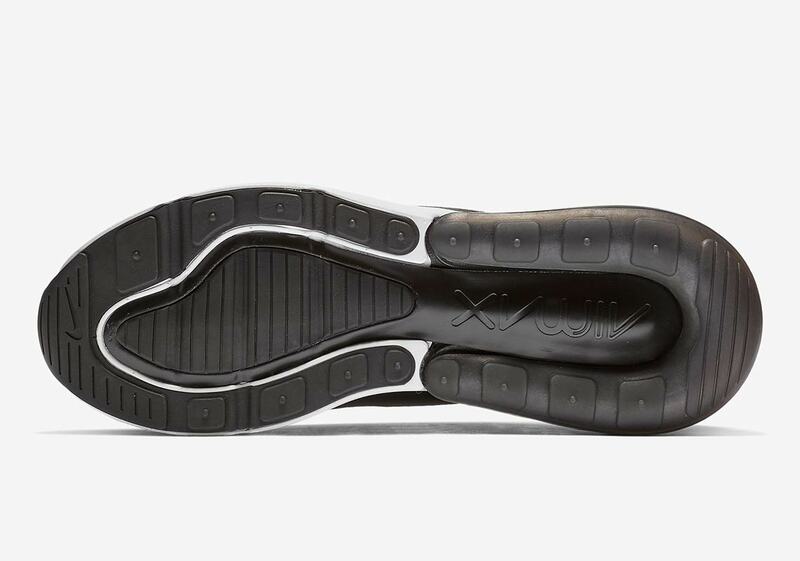 Using a black leather base with white accents, the new look is more than just a material makeover: fresh embellishments arrive via large 270 branded hits on the tongue and heel tab Swooshes, and an ever-so-slightly asymmetrical lacing system adds a quirky touch. 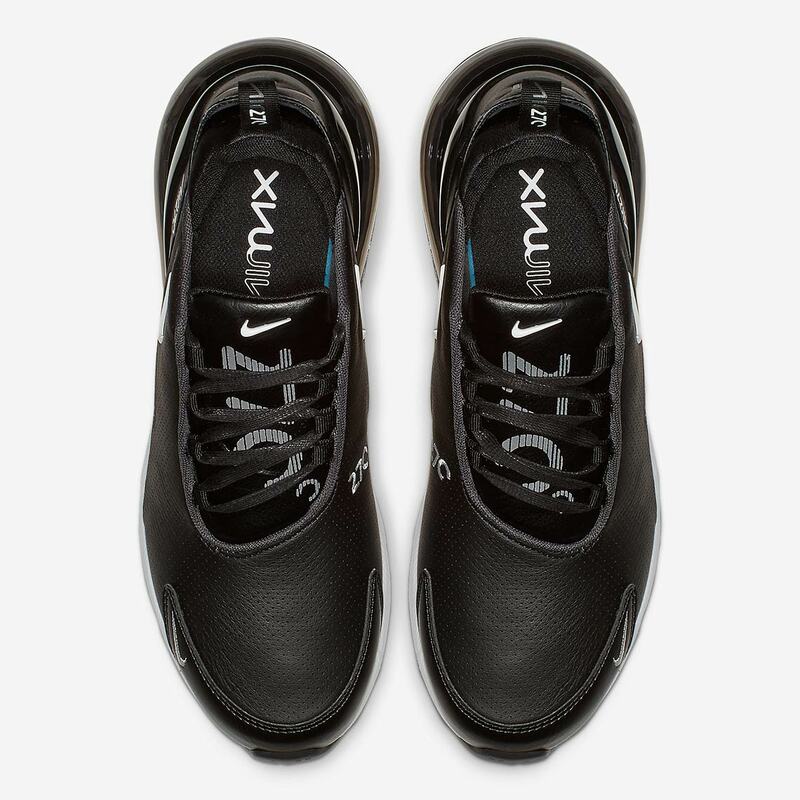 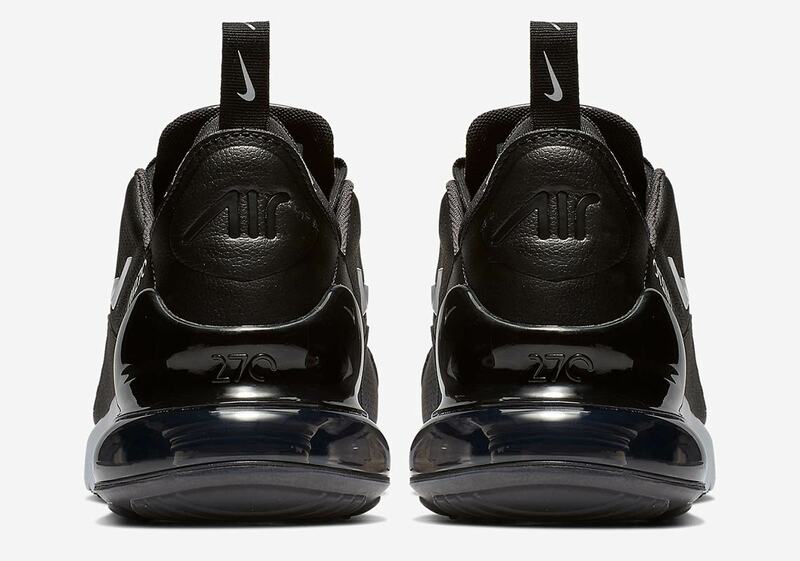 The look is then finalized by a white midsole and — of course — a large black heel Air Max unit. 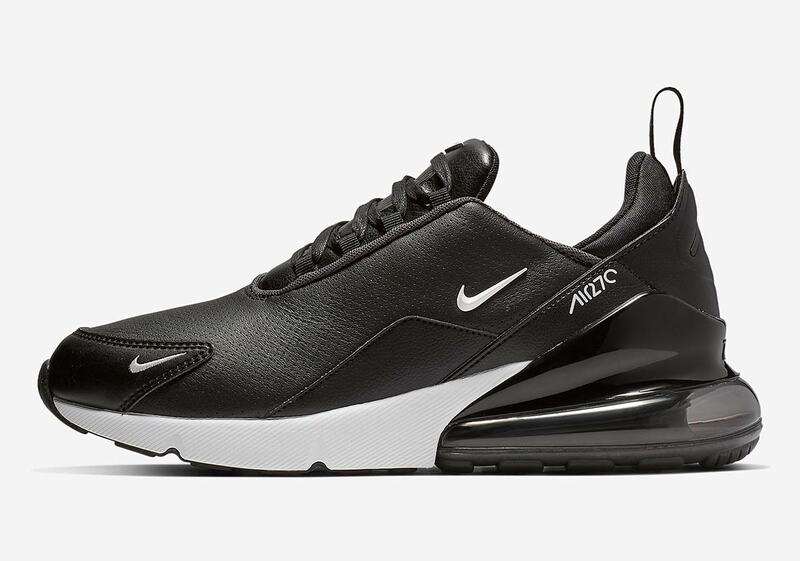 If you want to add a little extra elegance to your Air Max lineup, you can grab these 270 Premiums now on Nike.com for a slightly raised retail price of $170 USD — and for more Max news be sure to check out our store list for the “Northern Lights” Air Max 720.